This exciting documentary explores the history and scope of the Hip-Hop dance style. The movement is also studied as a global marketing phenomenon: despite its popularity, Hip-Hop struggles to define its historical lineage, concept, origins, aesthetics, and generational acceptance. This DVD illuminates these issues by featuring opinions from Hip-Hop dance pioneers, such as the renowned Rennie Harris. 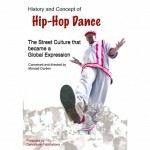 History and Concept of Hip-Hop Dance: The Street Culture That Became a Global Expression delves into the world-renowned dance style. Discover how it was first introduced to mainstream America in the early 1970s as breakdancing (or b-boying); learn how Hip-Hop has evolved and where it’s headed. A documentary conceived and directed by Moncell Durden. In the 1980s, talented dancers with athletic prowess performed the predecessors of modern Hip-Hop dance in a variety of party dances like the Wop, Cabbage-Patch, and Running-Man. These and many others enabled a larger community of dancers to get in on the fun—those who lacked the athletic ability of a b-boy could participate in this creative dance movement set to rap music. 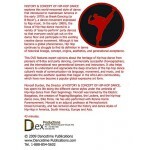 Today, the Hip-Hop dance movement is embodied in many surprising forms, as portrayed in this DVD. 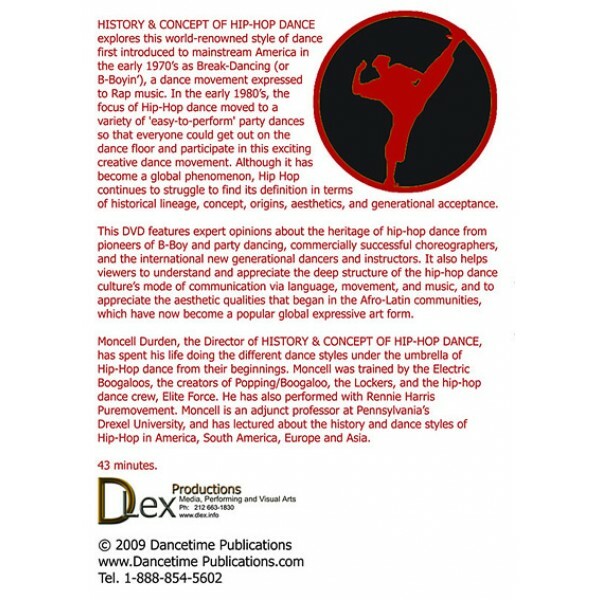 The History and Concept of Hip-Hop Dance begins an academic conversation about understanding, appreciating, and communicating about the Hip-Hop dance style. It also addresses the most important elements of Hip-Hop, such as language, movement, and music. This documentary helps the viewer appreciate how Afro-Latin aesthetic qualities become a popular global art form. Director Moncell Durden has been immersed in the Hip-Hop dance styles throughout his life. Trained by the Electric Boogaloos, the Lockers, and the hip-hop dance crew, Elite Force, he has spent over eight years performing with Rennie Harris Puremovement. 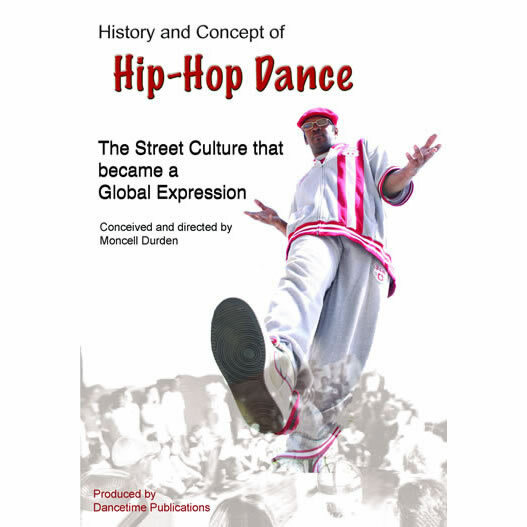 Moncell is an adjunct professor at Pennsylvania’s Drexel University, and has lectured about the history and dance styles of Hip-Hop in America, South America, Europe, and Asia for the past 10 years.